The holiday season is quickly approaching and Virginia&apos;s Blue Ridge is full of things to do from Thanksgiving through December. 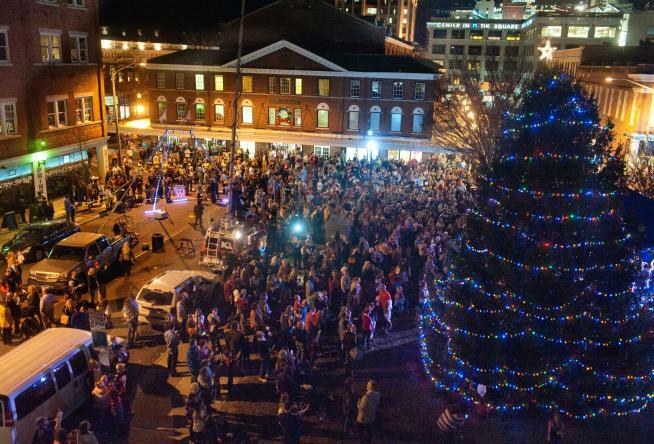 From parades and holiday events to performances, outdoor ice skating, Santa sightings and more, the whole crew will surely love a cheerful getaway to the Blue Ridge Mountains in Virginia. Make plans to skate off those turkey leftovers in Roanoke’s first ice-skating rink "ROA&apos;s Elmwood on Ice". The 3,900 sq. ft. outdoor ice-rink is nestled in the heart of the city and open to the public Nov. 23 – Feb. 14. Everyone is on the nice list while in Virginia’s Blue Ridge! Children can share their wish list with Santa at Fantasyland Nov. 28 - Dec. 19 at the History Museum of Western Virginia. Continue the holiday magic with a classical theatrical performance, The Nutcracker, presented by Southwest Virginia Ballet at the Berglund Performing Arts Center. The Roanoke Ballet Theatre students and Roanoke City Ballet also perform their seasonal performance of The Nutcracker at Jefferson Center on Dec. 19th. Get ready for the most anticipated holiday event in the region! The 34th Annual Dickens of a Christmas celebration takes place on the first three Fridays in December (Dec. 4 – Dec. 18). Join the Dickens celebrations for plenty of family-fun entertainment including local street vendors, roasted chestnuts and carriage rides. Just south of Roanoke, the Franklin County Christmas Parade comes alive on Dec. 4 in the town of Rocky Mount where southern hospitality and entertainment blend to make a perfect holiday mix. An award-winning theatrical performance is coming to Mill Mountain Theatre Dec. 2 – Dec. 20 just for the holidays. 42nd Street, a classic story of a chorus girl working to be famous in New York City, will make you eager to share good tidings. 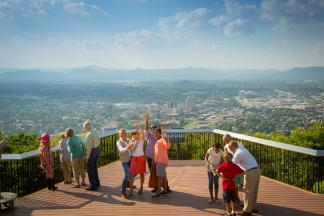 After the performance, take the skywalk over to the Hotel Roanoke, one of the most iconic hotels in Virginia since 1882. From Nov. 26 – Jan. 1 visitors can admire Fashions for Evergreens where professionally decorated evergreen trees stand tall on every corner through the historic Tudor-style mansion. On Dec. 5 celebrate Virginia rail heritage through a locomotive ride at the Virginia Museum of Transportation. “All-aboarrrrd!” the Candy Cane Express for a time-travel back to the golden age of the railroad with Santa. After a picture with jolly St. Nick on his train, head down to Salem where hot cider awaits at the Ye Olde Salem Christmas & Gingerbread Festival. Later on that evening, travel to Franklin County for the Old Virginia Christmas living history exhibit that shows how 19th century enslaved residents of the Booker T. Washington plantation spent an “Old Virginia Christmas”. For more information and to see a full parade schedule, visit our Calendar of Events http://www.visitroanokeva.com/things-to-do/events/ or visit the Roanoke Valley Visitor Information Center at 101 Shenandoah Avenue NE in Roanoke, VA.